The billiard Table Play Package includes: Four two-piece cues, bridge, racks for both straight pool and 9-ball, cloth brush, chalk, and a set of Aramith balls. 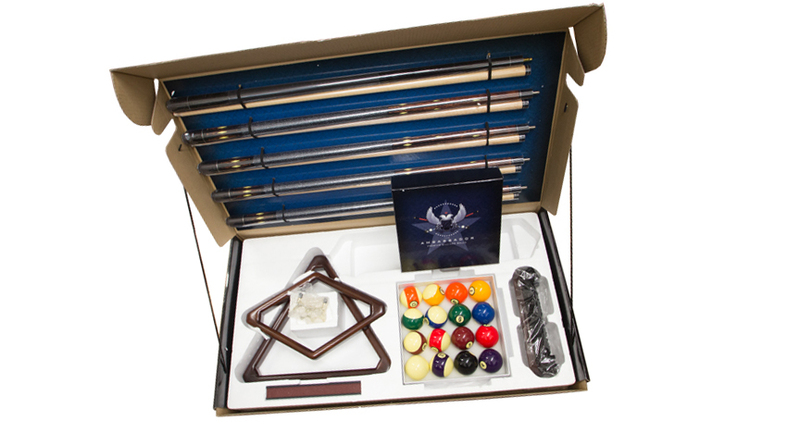 The billiard table Play Package is a quality, quick, and easy addition to any billiard table. Includes: Four two-piece cues, bridge, racks for both straight pool and 9-ball, cloth brush, chalk, and a set of Aramith balls.